Have you ever wondered just how much water is required to pressure wash a building? Exterior cleaning is a job that can be done in a number of ways, all of which are going to require resources. You may be concerned with how to best utilize your budget and keep environmental interests in mind. Hiring a commercial pressure washer is actually the most efficient way to accomplish your cleaning goals and prevent wasted resources. Replacing the parts and surfaces of your building that become damaged and worn over time is never a small undertaking. When compared to the manufacturing, shipping and installation of new building components, regular pressure washing is actually less costly and wasteful over time. Preserving your building while it is still in good condition will prolong the lifespan of your surfaces and prevent corrosion and staining. If your building has been defaced over the years, painting or replacing surfaces or fences is not always necessary. 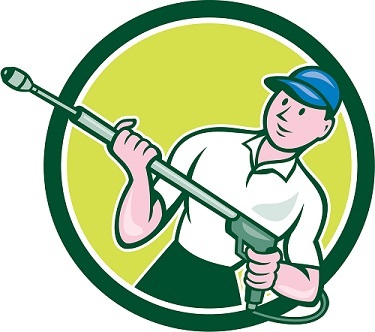 Hire a pressure washing company with the capabilties to remove graffitti, gum, tape, etc. 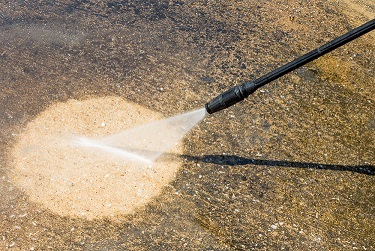 Professional pressure washing companies are familiar with local laws regarding watersheds. 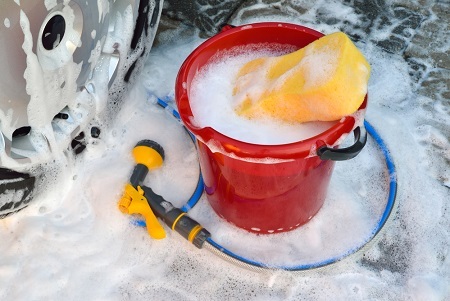 In fact, DIY cleaning can potentially put your organization in violation of runoff and pollution regulations. Professionals have an interest in following the laws, and even going above and beyond for the environment. It is a professional's job to be sure your property is cleaned correctly, and to stay ahead of constantly changing rules regarding the environment. Pressure washing was developed to serve as a better, more efficient method of cleaning compared to manual techniques. Up to 75 percent less water is required to clean when compared to doing the same job with a hose. Your pressure washing contractor has cleaning down to a science, using just the right amount of water and energy. Because your contractor knows how to be precise and deliberate, a cleaning job is done well from start to finish without the need to go back over missed spots or stains that would need extra elbow grease if it weren't for pressure washing. If your building is starting to look dull and weathered, let's discuss how pressure washing can bring it back to life while preserving its components. With over 25 years of experience in the industry, our team at Sun Brite Services can ensure the job is done efficiently. Give us a call at (678) 498-7660 and let's get started. As a business owner, you should know that your building’s aesthetic is one of your best marketing tools. 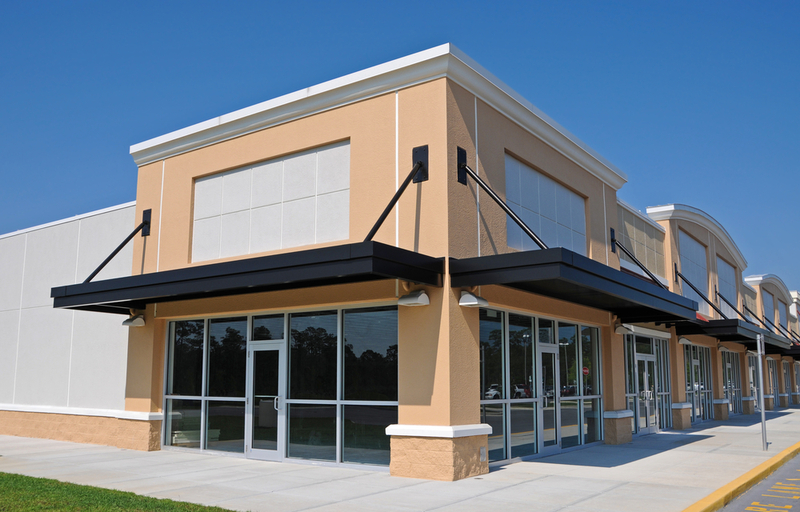 The ability to maintain an attractive commercial property will make it more likely to attract customers and passersby. Over time, dirt and grime can build up, and it needs to be eliminated promptly through a professional pressure washing. This procedure can even remove graffiti and other paint you want to get rid of. No one wants to go to a business that looks filthy as they pull up, especially if you serve food. This also holds true for multifamily complexes because if potential tenants come by to look at a unit, they may be hesitant to make an offer. Likewise, nobody wants to live in an apartment where there could be mold or pests. 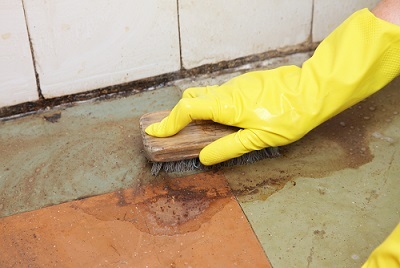 You may even start to notice the actual development of mildew if you do not clean the premises often. Mildew and mold can make it difficult for some people to breathe, so for the well-being of both your workers and customers, you want to maintain a safe, sanitary establishment. Protect your staff and residents. Start with the exterior- where these contaminants typically originate. You definitely need to remove mold once it develops. However, it is always better to prevent mold from growing in the first place. As a facility owner, you should sustain the building in a manner that addresses issues before they get out of hand. For example, if mold develops, then not only will you have to pay to get rid of it, but you will also have to pay to fix the underlying, damaged structure of the building. To keep costs down, it is simply easier to clean your building regularly so that you do not even have to deal with hazardous conditions. Above all else, an attractive building will allow you to do better business than one that looks like it just went through a dust storm. When people walk past, you want them to be astonished at how beautiful your business is. People may even walk in on a whim if it looks good enough. Additionally, you want to ensure the sidewalk outside your building is properly maintained and that the parking lot is always kept clean. With nearly 25 years of experience in the Atlanta area, Sun Brite can address your exterior cleaning needs. 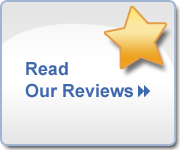 Give our experts a call at (678) 498-7660.